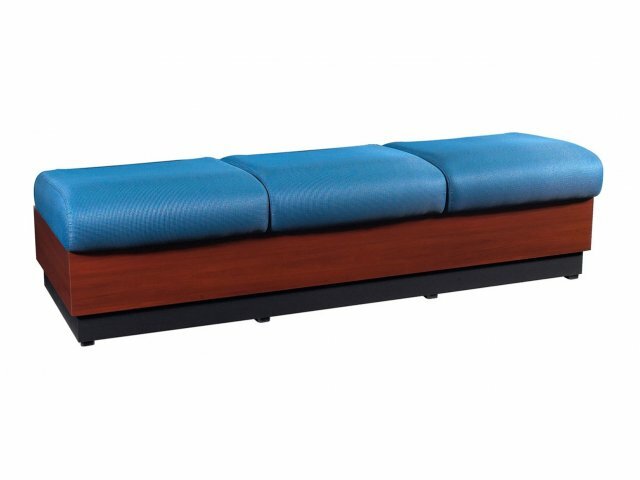 Invite your visitors to settle down onto a cozy Rotunda Reception Bench. 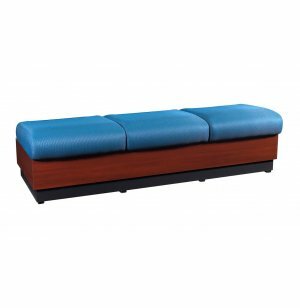 The comfy foam cushions are covered in stain-resistant upholstery, complemented by a black plinth base and your choice of laminates. Durable Material: High-pressure laminate side surfaces resists moisture, stains and scratches.